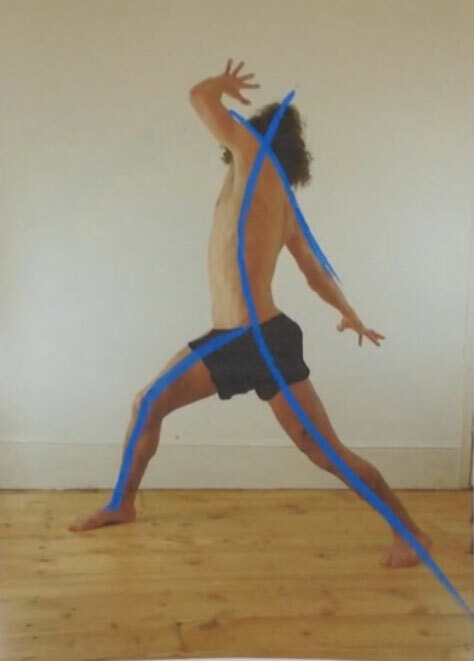 After this lesson… you will have identified the lines of movement in various poses. 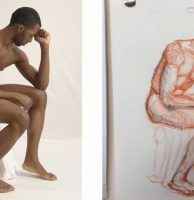 The essence of each pose can be captured in a few simple lines. 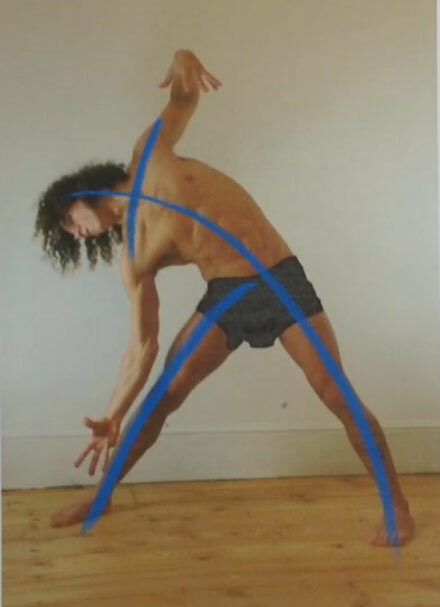 For this course, we are going to talk about lines of movement, to emphasise the movement of your eye and your mind’s eye as you take in the pose. These are lines that are one step before the gestural drawing, and we think they are a great place for a beginner to start. There are other similar ideas out there you may have heard of, such as the line of action, or flow. Note that we aren’t talking about actual motion, but more the movement of an eye taking in the object or scene. These aren’t lines we can necessarily see like we could see an outline. If there’s a word for it, then it’s feel – these are lines that you feel when looking at a figure. That sounds really vague, but it will make more sense as the lesson progresses. 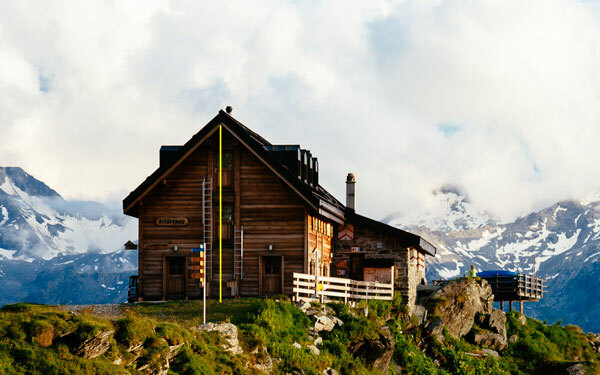 Here’s an example with a house. Do you feel that this view is dragging your eye straight upward at the yellow line? With the edge of the roof, it’s almost like an arrow pointing to the sky. We can also see a diagonal line across the structure here. What we’re calling the movement in what we see isn’t necessarily within an object – it’s just any flow in visual elements. 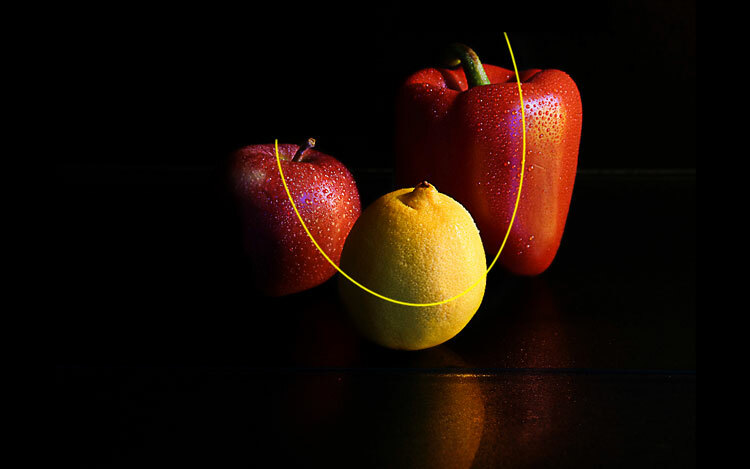 So here is some fruit and veg – do you agree that this is the line of movement in how they are arranged? We aren’t just talking about contours, or outlines. These are lines that are not necessarily visible – there’s an element of feeling in these lines, so we won’t want to overthink or overly define all of this. There shouldn’t be ‘correct’ answers here. So onto figures now. This pose is dynamic and powerful, with an upward, spiralling energy. The main line of movement in a pose, which is the first you should put down, is not necessarily the line of the spine, though it often does flow with the spine. Keep in mind that these lines are also not nuanced or detailed lines. They are bold, sweeping lines, and you’ll need to be brave when you make them. Move from your shoulder and go for it. You will make more accurate and considered lines later on, but for now, be bold. Generally there is an obvious main line of movement in a pose. It typically runs from the head through the torso, but not always. We can add secondary lines of movement on top of our main line of movement, as Mayko has done in these examples. Often, there is a secondary line of movement in the arms, or a stray leg, that runs separately to the main line of movement. It’s useful to ask yourself – how does this pose feel? You can imagine yourself in the pose, or even do the pose yourself, to get a better feel for it if you need to. In this picture, the pose is creeping and tense. There’s a downward tension in this pose. 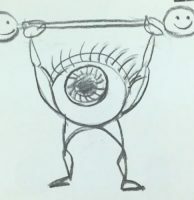 We are telling you what we see or feel in these poses, but you may see something else, and you might drawing different lines to the ones Mayko is choosing – that’s what your own eye is telling you, and you can trust your eye. This pose has a clear flow from the head to the foot on our right. However, the arms are angular and a little disjointed. They are awkward and do not flow, so we don’t have to try to force them to with flowy movement lines. We could put in some angular lines to show the effect the arms give if we want to. There is flow here from the head down to that leg that touches the floor. But the bent leg that she’s hugging gives the pose a more defensive, closed off feeling, so we’re going to add that very sharp angle, to get that feeling in there as well. This pose has a flow from the foot on our left, through her torso and her head. But there is a downward energy to it, like she’s being dragged downwards, and the lines for her other supporting leg and her shoulders will help capture that. You can see that Mayko likes to use multiple lines of movement to start her drawings, and she often likes to incorporate the line across the shoulders. She also doesn’t stray too far from the lines of the torso and limbs, but some artists like to exaggerate the flow of the lines they see, to help make sure they achieve plenty of dynamism in their drawing. Here, the model is lying in a graceful way, with her body making some clear flowing lines. It is restful and peaceful. This time, Mayko decides to capture a flow that she sees running around her thighs and hips – that’s the movement she felt when she saw the picture, and there’s no rules here to say that movement lines should only run along the torso or limbs. Note that it’s easier to see the lines of movement in some poses than others. Dynamic poses tend to be easiest, but there are lines of movement even in bland or sombre poses. This is a simple, straight, standing pose. There is little movement here, just the gravity straight down, and the curves of her figure. This is another simple standing pose, but there is an unusual tension to it. The arms and tense and slightly held out, which completes changes it from a standard standing pose. So that tension will be important to capture, and it emerges partly from the texture of the back. In figure drawing, it’s really important to start from these lines that represent the essence of the pose, before we start worrying about individual body parts, features and details or even proportions. Capturing and retaining the sense of the pose’s movement is going to lead us to a final drawing that feels natural, cohesive and dynamic. If we were to draw the figure bit by bit, just building up details for each area, without this overall sense of movement or flow, we’d probably end up with something a bit disjointed, flat and lifeless. The sports section of all newspapers is about to take on new significance in your life! Now just like the athletes you see in this picture constantly practise the fundamentals of their sport – boxers still shadowbox, footballers still practise kicking footballs – we also need to constantly work on seeing and physically capturing movement in poses. Now, in football if you want to practise your kicking technique, you can do that without worrying about everything else, like strategy and teamwork. But the issue with practising a specific drawing skill is that drawing requires the combination of many skills at once – proportions and light and perspective and so on. So when you practise drawing, it’s hard to isolate one skill and just practise that. 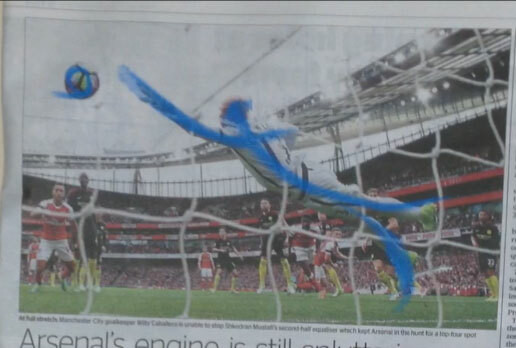 To solve this problem, we use various exercises where you draw on top of the photos in newspapers. Newspaper paper is actually quite good for drawing and takes charcoal or pastel well. In the sports sections, you’ll find some fairly large photos of people in dynamic poses. 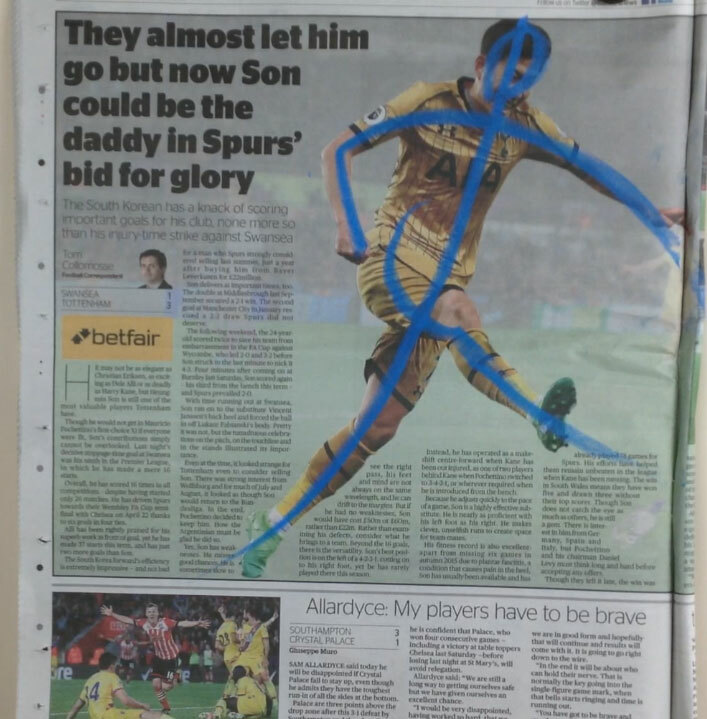 It’s an easy way to get a lot of photos to draw all over for free (if there aren’t free newspapers in your area and you don’t buy them, many shops will be able to provide yesterday’s papers for free – who else cares about yesterday’s news!). 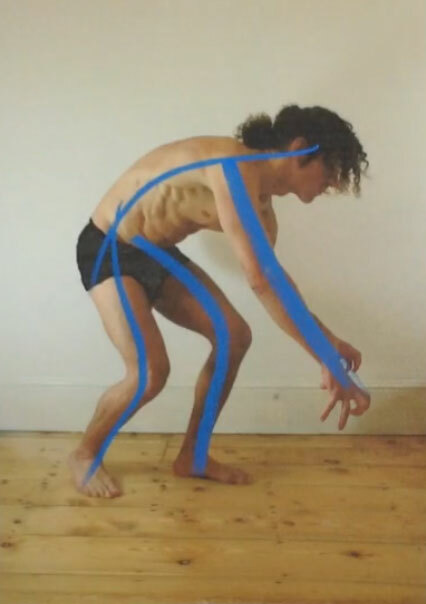 The reason we want you to draw straight onto photos is because this way you don’t need to worry about proportions and positioning or anything else. Having to combine so many different skills at once when practising drawing is one of the biggest challenges to learning. If possible, it would be best to use charcoal or pastel for this exercise, since it’ll stand out on the photo and is good for producing expressive lines that are important to this exercise. When doing these lines, Mayko is using her whole arm. We are often tempted, because we are nervous and tentative to put down lines, to use our wrist and fingers only. We are used to being accurate with these, because that’s how we write. But there is little freedom of movement when using your fingers and wrist only, so the lines will be bitty, messy and tentative. They will not contain the movement we are capturing. We will make another lesson specifically about this topic, but for this exercise, do try to use your whole arm. Try to hold the pastel or charcoal or whatever with an overhand grip as in the video. 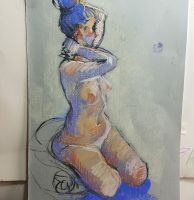 We are often taught to see movement or gesture or action or flow or whatever you want to call it at the start of the drawing, for the pose overall. But as you progress and improve, one day you can start to see it throughout, even when making detailed finishing touches. You can see it not just in the pose overall, but in smaller areas too, in body parts and in shadows and tone, and put all that movement into every part of your drawing. 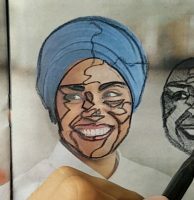 This is the approach taken to create drawings like these. Use additional photo references you find on the TV, in magazines, on the internet or in the people around you – to see many poses in quick succession, and draw their lines of movement. You can use scrap paper or do it digitally – it’s a little bit of a waste of high quality paper. Remember that learning to draw is not a sprint, it’s not a marathon, it’s an adventurous journey. And every time you put some marks down on paper, you are taking steps forward. Hi! Thank you for your course!!! It is very interesting for me! But your link from Further exercises (lovelifedrawing.com/movementexercises) don`t working. Could you please fix that? And very, very THANK YOU!!! We haven’t actually put up further exercises yet, so I have removed that link, sorry about that. Hopefully we will put up further exercises soon – I’ve added it to our list. There’s so many things we want to make, but each video takes up a lot of time to make, so I’m not sure when we will get to it.